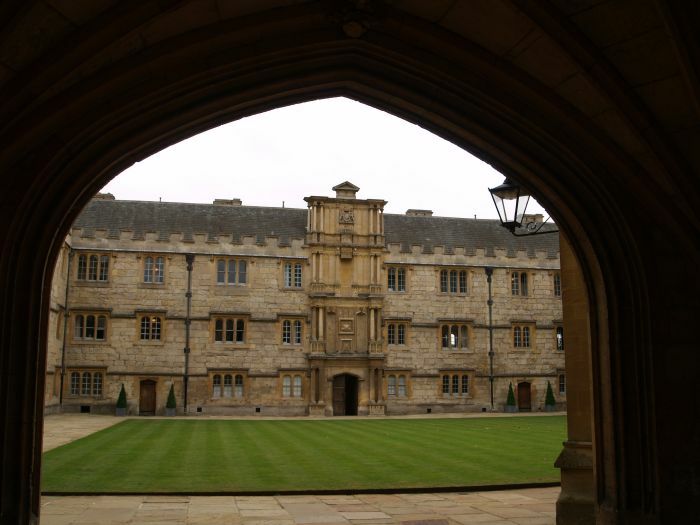 The tower of Merton College, Oxford. 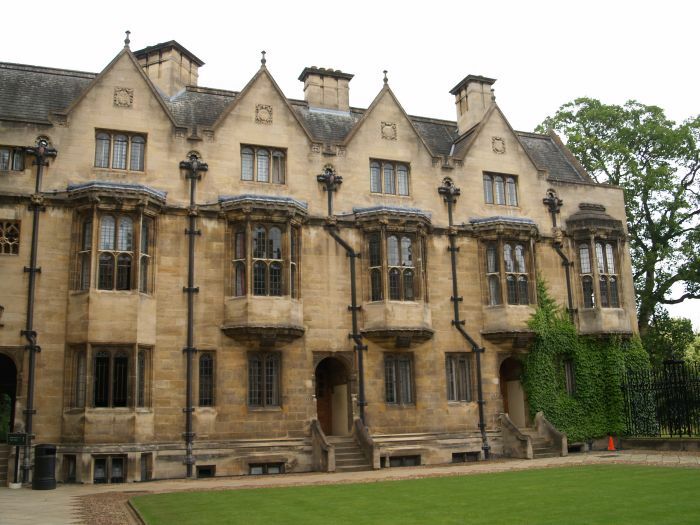 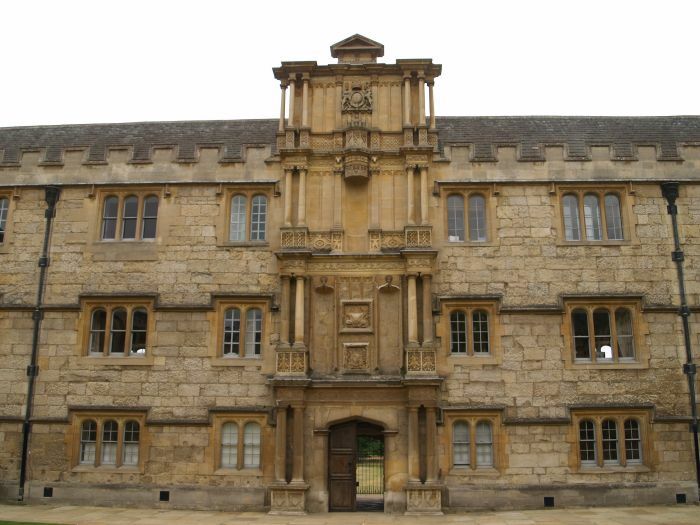 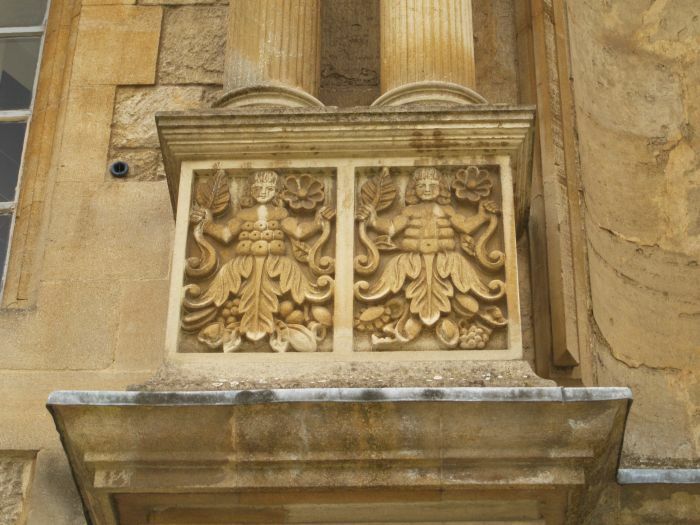 Merton College was founded in 1264 by Walter de Merton and has the oldest college buildings in Oxford. 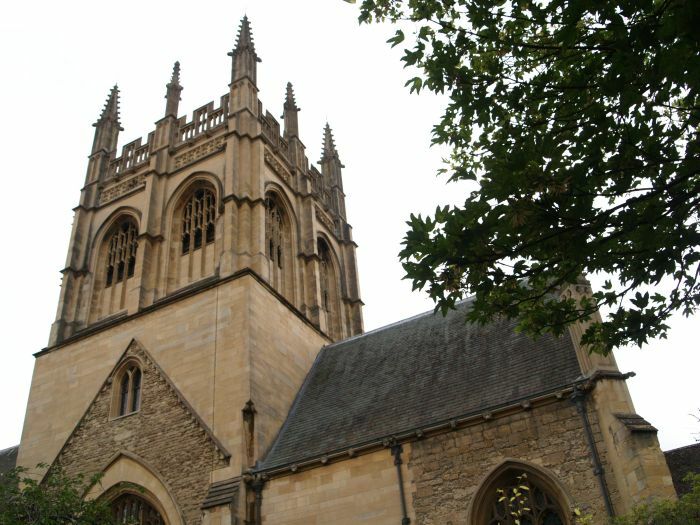 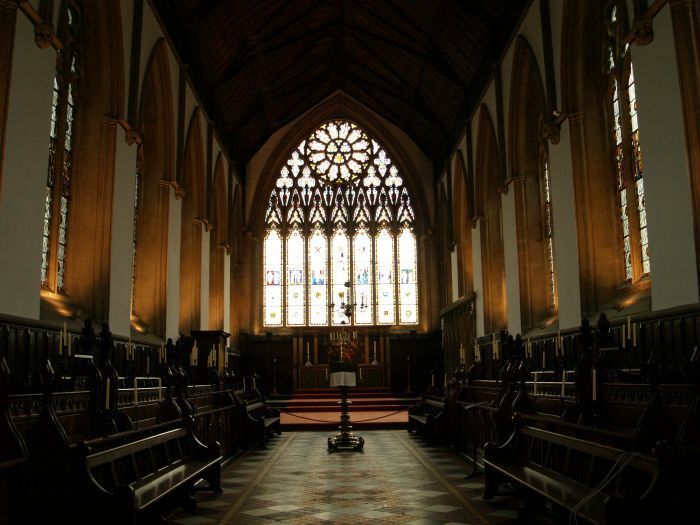 Merton College Chapel is one of the largest of the college chapels because it was originally built as a parish church. 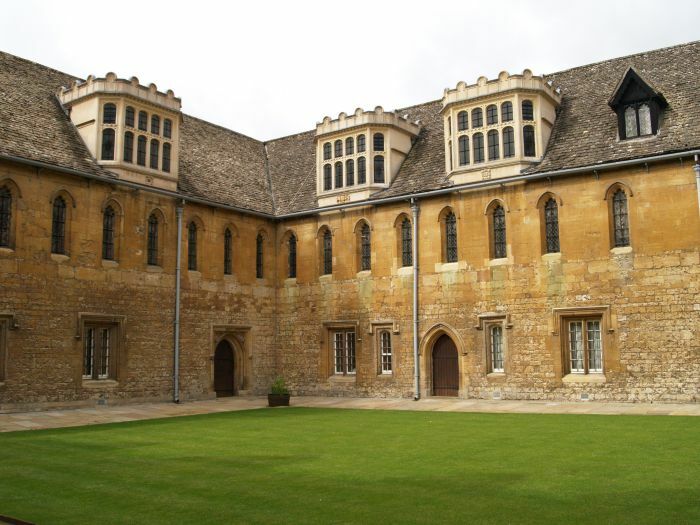 A quadrangle in Merton College Oxford. 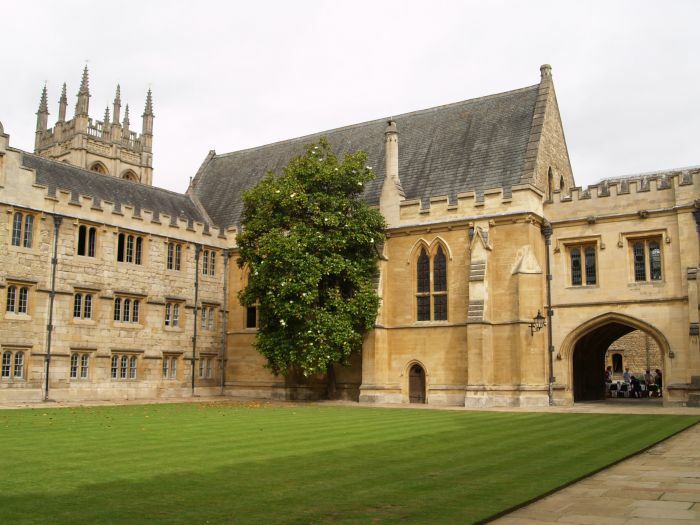 The Mob Quad was built around 1300 and acquired its name from the tensions between 'ton and gown' erupted in rioting and group of students and masters took refuge here in ?. 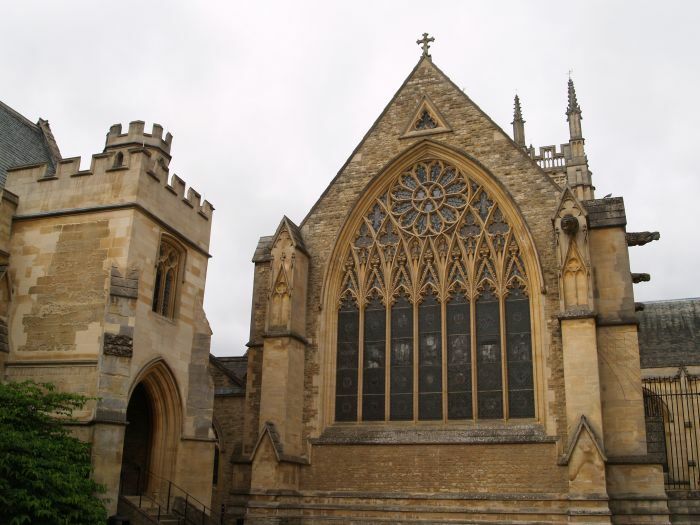 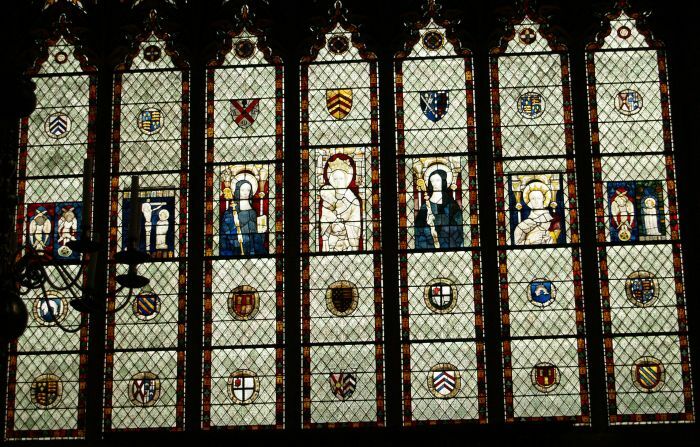 The east face and stained glass window of Merton College Chapel. 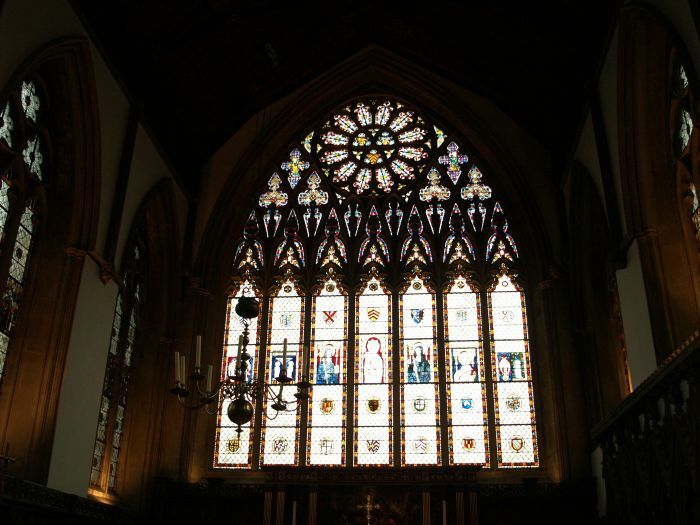 The nave, chancel and altar and east stained glass window of Merton College Chapel. 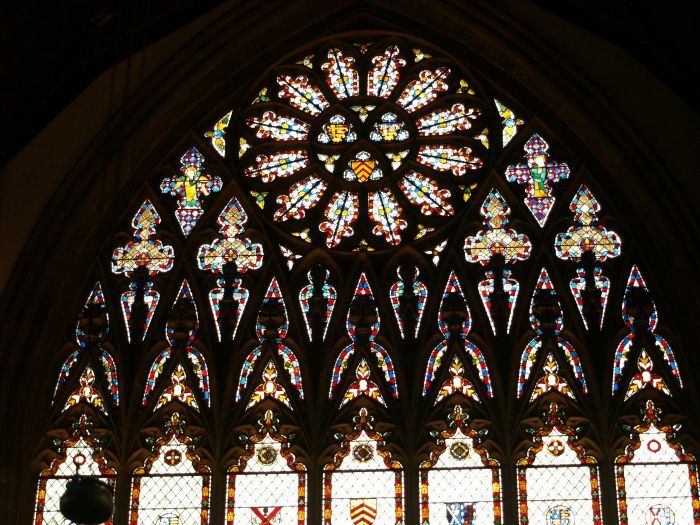 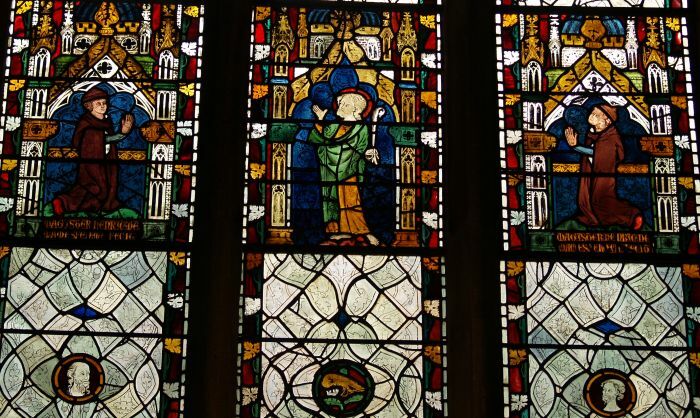 More detail of the east window in Merton College Chapel.